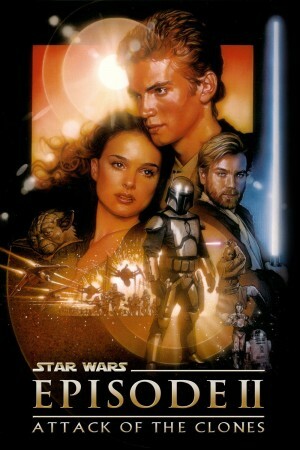 The STAR WARS saga continues on DVD with Episode II ATTACK OF THE CLONES. Anakin Skywalker has grown into an accomplished Jedi apprentice, and he faces his most difficult challenge yet as he must choose between his Jedi duty and forbidden love. Relive the adventure the way it was meant to be seen in spectacular digital clarity, including the climactic Clone War battle and Jedi Master Yoda in the ultimate lightsaber duel. Experience this 2-disc set that features over six hours of bonus materials, and see how Episode II unlocks the secrets of the entire STAR WARS saga.